The mobile world is going MWC mad, but there are still smartphone stories elsewhere in the world. The iPhone 6S for example isn't on show, but that hasn't stopped a big new rumour leaking, as apparently Apple's next flagship will inherit a major feature from the Apple Watch. That feature is Force Touch, which uses electrodes in the screen to tell the difference between a light tap and a firm press, potentially giving you more controls and options with a single touch. It's a feature which makes a whole lot of sense on the Apple Watch, where space is at a premium. 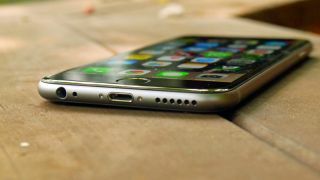 On an iPhone it seems less necessary, but we imagine it could make the interface faster and more intuitive to navigate. Sources "familiar with existing (iPhone 6S) prototypes" have told Apple Insider that the feature is likely to make the jump to the iPhone 6s, though exactly how it will be used hasn't been revealed. Apparently the company originally considered putting it in the iPhone 6, but "calibration" issues led to it being pulled. Those issues must have been sorted if it's heading to the Apple Watch, so it makes sense that it would also be put into the next iPhone. However the same sources have also dismissed an existing iPhone 6S rumour, claiming that the two-lens DSLR quality camera we heard about late last year won't be happening, as it would require a major redesign of the chassis, which isn't on the cards if Apple is following its usual pattern and keeping the design of the iPhone 6S consistent with the iPhone 6. That's a shame, but the iPhone 6 is already one of the best cameraphones around, so it wasn't in desperate need of an overhaul. While Force Touch is a genuinely new thing that we've not seen before, so if both these things are true we'd say this news is more good than bad. Could the iPhone 6s have a swappable camera lens?